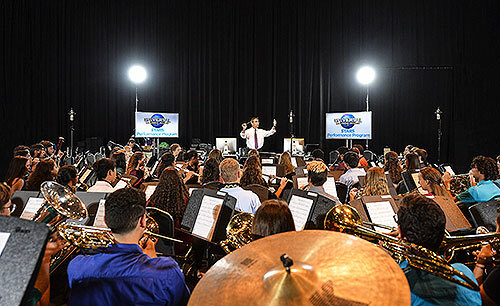 Universal Orlando™ Youth Programs reimagines the classroom, so students can experience show-stopping performance opportunities, engaging music-based workshops and unforgettable hands-on experiential education programs that take learning to new heights. Our Performance Programs help students refine their showmanship skills and get a taste of the spotlight. We offer workshops, marching, and stage opportunities for student performers of all kinds. Our high engagement workshops are in line with National Core Arts Standards and feature industry insiders who will share invaluable wisdom with students. In marching, our streets are your streets! It’s all about teamwork, precision, and synchronicity as your group entertains the masses during one of several performance opportunities at our parks. 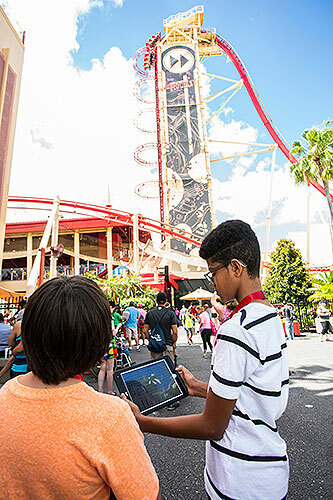 Groups can also perform onstage and wow audiences in the same world- class theme park setting where professionals entertain thousands every day. Universal elements and all related indicia TM & © 2017 Universal Studios. © 2017 Universal Orlando. All rights reserved.